AXYS® CHASSIS: The AXYS® chassis of the 600 Voyageur® 144 design is the key to delivering rider balanced control through the right rider positioning and centralized vehicle mass. The rider's hand position is moved 4.5" forward, the feet position is 2" forward, the knee position is 4.5" forward, and the seat is 4.5" forward. This means more bite for flatter cornering when in the neutral riding position and a lighter front end for climbing on top of the snow or the moguls when the rider shifts to the back of the sled. 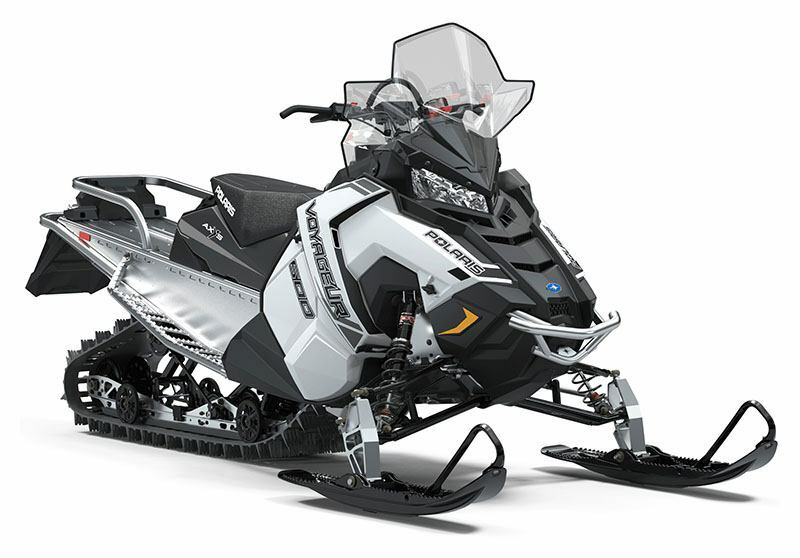 IGX 144 REAR SUSPENSION: A core element of the 600 Voyageur® 144 platform is the Ideal Geometry X-Over (IGX) uncoupled rear suspension, which offers the ultimate blend of durability and strength. 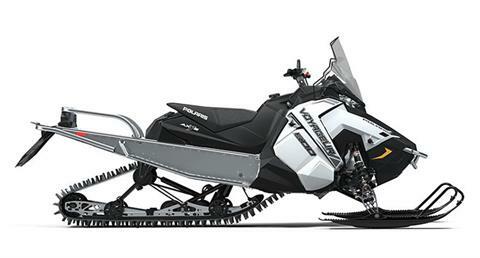 It provides RMK-inspired off-trail agility and balance with a drastically improved on-trail ride. Pitch is controlled through geometry and the 43% more front torque arm travel means less drag off-trail. An optimized, lighter tipped rail beam design gives the sled a nimble feel. 144 x 15 x 2 in.